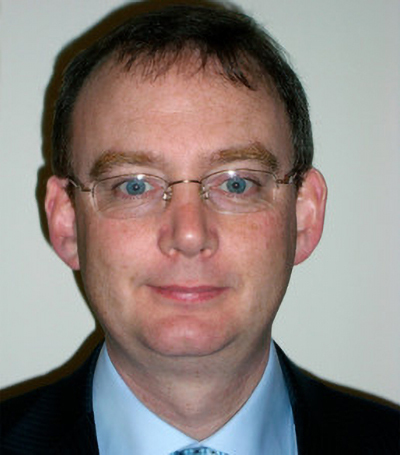 Prof. Gary Walsh is Chair of Industrial Biotechnology at the University of Limerick, Ireland. He obtained BSc & PhD degrees from the National University of Ireland at Galway in 1986 and 1989, respectively and more recently a graduate diploma in academic practice from UL in 2009. Prior to joining the university in 1994 he held the following industrial positions: Senior research scientist, Alltech Ireland Ltd., Production manager, Bioniche pharmaceuticals, Research scientist, Olympus diagnostics. His research and scholarship interests span enzyme and pharmaceutical biotechnology as well as curriculum design and he was the recipient of the university’s special achievement in research award in 2006.His 106 ‘class 1’ publications include: 9 authored books, 2 edited books, 17 book chapters and 78 journal articles. In addition he has authored 94 refereed conference proceedings, 5 book reviews and 7 reports. Three of his books are international student biotechnology textbooks that have gone to second edition and for which Chinese and Japanese foreign language editions have been published. He has participated in research grant proposal applications which have successfully secured €3.1 million in funding, of which his personal share is €1.7 million. He hassupervised/continues to supervise 22 researchers (14 postgraduate & 8 post-doctoral). He has served as a research proposal evaluator for various scientific funding bodies in Ireland, Holland, Norway and the UK. He has presented his work at 60 international conferences, which include 33 guest/keynote presentations. He has served as session/conference chairman at 6 international conferences and as a member of the scientific advisory panel for 12 international conferences conferences. He has acted as external examiner for 13 PhD and 4 MSc research theses in various Irish institutions, as well for Monash university in Australia. He has/continues to serve as external examiner for undergraduate taught programs in 4 Irish Institutes of Technology and 2 Irish Universities. He teaches various biotechnology modules in Limerick and was the recipient of the university’s excellence in teaching award in 2003. He has served as course director, B.Sc. industrial biochemistry for 2 terms and as the University’s (acting) dean, teaching & learning from August to December 2004. He has lectured on taught courses at the University of Grenoble, France, the University of Jyvaskla, Finland and the National University of Ireland at Galway. He chaired the University of Limerick institutional committee preparing for the 2012 institutional quality review and was the main author of the associated Institutional Self Assessment Report. He has served as (founding) editor, biotechnology section, of the European Journal of Pharmaceutics and Biopharmaceutics and as a member of the editorial boards of Biopharm. International, New Drugs and the Encyclopaedia of Industrial Biotechnology. He has also served as scientific secretary and as a member of the board of governors of the European Association of Pharmaceutical Biotechnology and is a former Fulbright research visiting professor at the University of Georgia, in the United States. Walsh, G; Headon, D (1994) Protein Biotechnology. Chichester: J. Wiley & Sons. Walsh, G (1999) Biopharmaceuticals; an industrial perspective. Netherlands: Kluwer academic publishers.